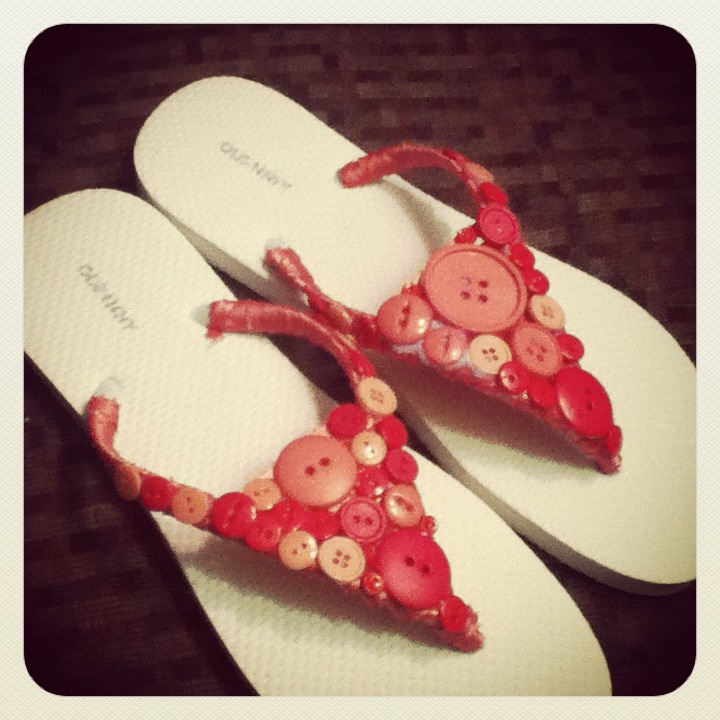 I’m sure you have all seen this pin on Pinterest recently: Making your own decorative flip-flops! Click on picture for link to post. Anyway, I used to do this when I was younger, but obviously Pinterest was never around to share it so I was excited to pick it back up when I saw this tutorial. But sewing beads on seemed like an awful lot of work that I just didn’t have time for (as of right now, SWAMPED doesn’t even begin to cover it). SO I decided to give my spin on it, I bet you’d never be able to figure out what I used… ok, yes: I used buttons. I went to Old Navy near my office when they were having their $1 flip-flop sale and bought four pairs, including a white pair. I knew they would never stay white and pristine as these flip-flops, so I decided to add a bit of hot-pink with the ribbon and buttons. It was a lot of trial and error with them, especially having wide feet. The one flip (or is it flop?) I didn’t break in so it was a little more difficult to wear as I tried to shove my foot inside and ruined the buttons a bit… oh well! To see these tutorials, click on the image to go to the pinterest page! I’d love to see yours if you’ve already re-purposed some! What a fab idea! They look lovely. 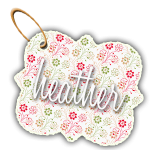 Reblogged this on Stitch Wishery Circle.